I know this sounds shocking, especially if you’ve never known this before. I just found this out today. Michael Servetus (29 September 1511 – 27 October 1553) was a gifted man who loved the LORD God and studied Hebrew, Greek and Latin. He refused to accept the doctrines of the Catholic Church, like the reformers, John Calvin being one of them. Though the reformers broke away from the Catholic Church, they carried many of their pagan doctrines and practices with them. John Calvin held to the doctrine of the Trinity and infant baptism, while Michael Servetus did not. Michael trusted Calvin as his close friend and while Michael was forced to live underground, he and Calvin would write letters back and forth, discussing theology, marking up each others’ work with their theological debates. Michael and Calvin believed Jesus was God in the flesh, so why would Calvin have Servetus burned alive? I don’t know how many of you are familiar with the ‘Oneness’ of God doctrine? I have become familiar with the it because two years ago I had an epiphany of this Truth, without knowing what it was ‘labeled’ and have held to it ever since. 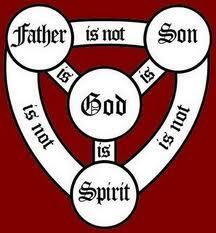 It is similar to Trinitarian theology, but different. Trinitarians hold to God in three, distinct Persons, co-eternal in existence, while Oneness believers hold to God as One Spirit, manifested in the flesh of the Son. To put it more clearly, Trinitarians believe Jesus is the eternal Son of God, the second ‘Person’ of the Trinity, and the Holy Spirit is a ‘third Person’ of the Godhead (which in Greek is the word ‘Deity’, not ‘Godhead’). Oneness believers hold that God Himself, Who is the Holy Spirit, manifested in the flesh as the Son of God, and is the Holy Spirit that indwells all believers. 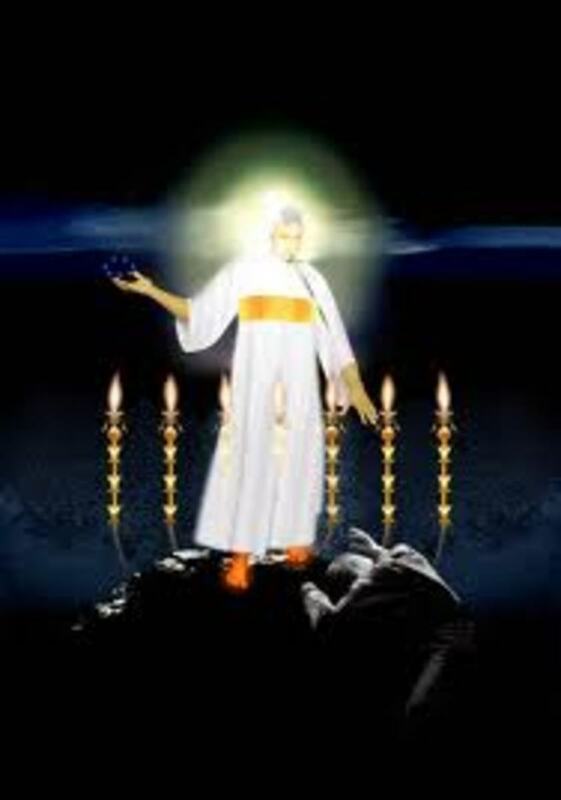 They believe any manifestation of God in human form (whether mortal or immortal) is the LORD (YHWH) Himself, as Jesus IS the image of THE invisible GOD. In researching the history of Oneness theology, the internet claims the Oneness movement began at a revival meeting in Los Angeles on April 15, 1913. That, my friends, is absolutely false. 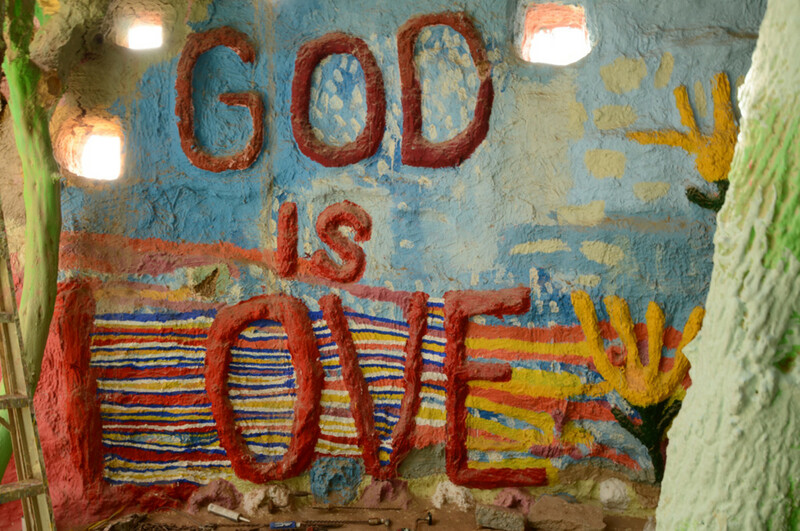 In fact, ‘Oneness’ theology was around PRIOR to the establishment of the Roman Catholic Church. They were the first martyrs for the true faith, and Michael Servetus was one of them. He stated that Ignatius (the monarchian) was an example of holiness and endurance and urged the Philippians to follow his example. Hyppolytus says Noetus believed Jesus confessed Himself to be the Son to those who saw Him, while to those who could receive it, He did not hide the fact that He was the Father. He had Trinitarian-type thinking, but made surprisingly Oneness statements. “The Father is that which is invisible about the Son, the Son is that which is visible about the Father…the Father is God revealing Himself, and the Son is God revealed. Tertullian (a well-known pagan) wrote “He [Praxeas] asserts that Jesus Christ is God and Father Almighty" and quoted Praxeas: "He says that the Father Himself came down into the Virgin, was Himself born of her, Himself suffered,indeed was Himself Jesus Christ." It was Tertullian (150 - 225 AD) who first coined the term 'Trinity' (God in three persons) in the year 200. 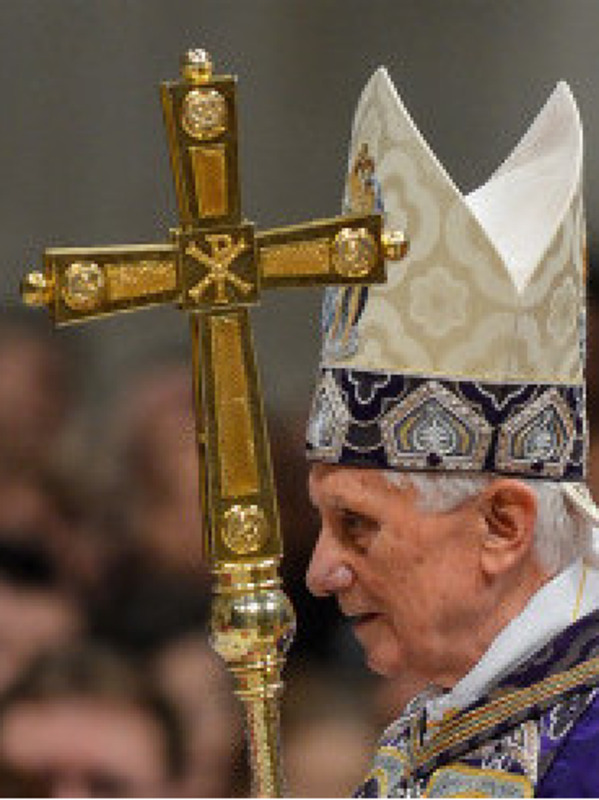 He was converted to Catholicism in 195 and became an ordained Priest in the year 200. He admitted that Oneness Apostolics constituted the majority of believers in his day. "Peter said to them, 'Repent, and each of you be baptized in the name of Jesus Christ for the forgiveness of your sins; and you will receive the gift of the Holy Spirit." Now, understand that the Roman Catholic Church ADMITS altering the very words of Jesus in Matthew 28:19! Is this not blasphemy? Yes, Jesus said there would be 'tares' sown among the 'wheat' (Mat 13:25) and Jeremiah 8:8 clearly propehsies, "'How can you say, 'We are wise because we have the word of the LORD,' when your teachers have twisted it by writing lies?" Revealed himself Sabellian in his “Carmen Apologeticum” in which he recognized Father, Son and Holy Ghost to be different designations given to the same person. Held a Sabellian view of the Deity. Considering Michael and John Calvin became friends in their 20’s and Michael was born in 1511, the writing of Michael’s book was probably in progress, if not complete. Calvin was two years older than Michael , and though they were friends for 20 years, Calvin handed him over to the Catholic Inquisitors, who condemned him to being burned alive at the stake for his refusal to accept the doctrine of the Trinity and infant baptism. 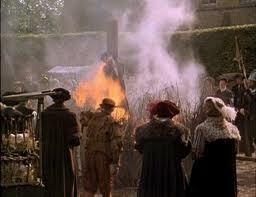 While Calvin vied for Michael's beheading, the Inquisitors chose to burn him alive. Green wood was used, as it burns slower and would inflict a longer torment; straw and sulfur were placed on Servetus’ head to make the heat as hot as it could be! On October 27, 1553 they tried to make Michael confess the ‘eternal Son’, in order to escape his death sentence, but Michael’s last words were "Jesus, Son of the Eternal God, have mercy on me." Obviously, that was not good enough. Did you know that from 1541 to 1546, prior to the murder of Michael Servetus, John Calvin caused 58 people to be executed and 76 exiled, while many more were imprisoned? His victims ranged in age from 16 to 80. In Calvin's time, those he deemed heretics, even for advocating that Christ died for all sinners (unlimited atonement), were punished either by drowning, a drawn out and slow burning at the stake (as with Michael Servetus in 1553), or beheading. All this was done in public, with city residents compelled to watch the butchery. According to the statistics of G.A. Boyd, "Oneness Pentecostals and the Trinity" (Grand Rapids:baker Book House, 1992), 10 "Oneness believers constitute the third largest anti-Trinitarian movement in the United States and the world, numbering within the region of over one million in the United States and nearly five million worldwide. 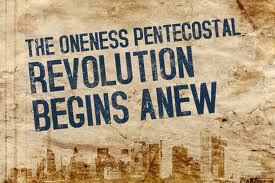 Although there are hundreds of different Oneness denominations, the largest is the United Pentecostal Church International (UPCI) having roughly half a million members in America and about the same number worldwide." Nobody wants to be labeled a ‘heretic’, simply for rejecting the theology that God is three Persons, each not the other. 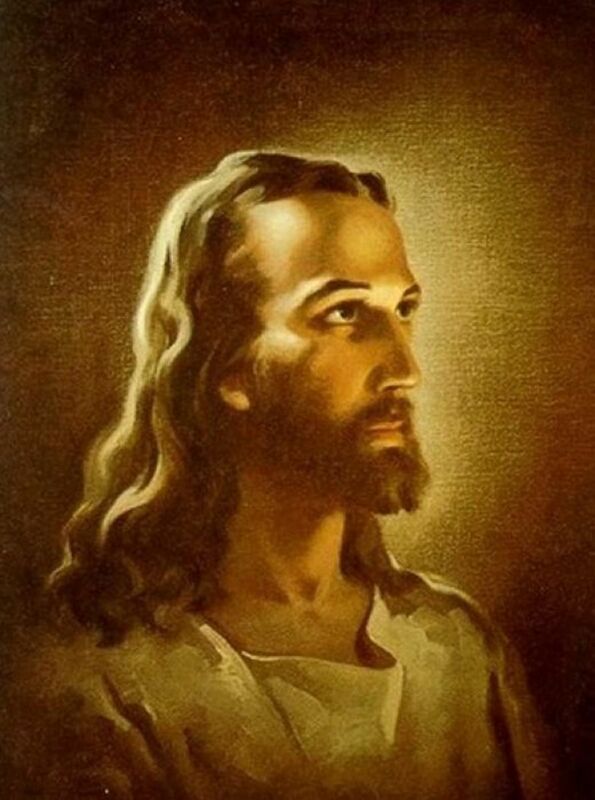 I DO believe Jesus Christ IS Yahweh (Ex 3:14; John 8:58), the Almighty God our Savior (Isa 44:6; Rev 2:8; Titus 2:13), the Creator of all things (Isa 44:24; John 1:3), the Holy Spirit that indwells (Rom 8:9), comforts (John 14:18) and teaches His children (John 16:12; 1 John 1:27), and that He is the Way, the Truth and the Life (John 14:6). 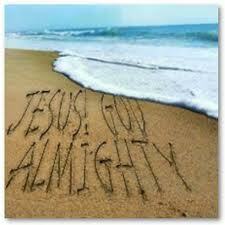 I am thankful I am NOT alone, and would I die for this Truth? Absolutely. Children of God do not murder. Look at Saul/Paul as an example. He was a murderer of the saints, prior to his conversion, and never again did he murder anyone in the name of God! I have disabled comments for this hub for obvious reasons. However, if you would like to email me, you can reach me at judahsdaughter@gmail.com. Below are some links to other hubs I’ve written that proclaim Jesus IS the Almighty God, my refutation of Calvinism called “DON’T LIMIT HIS LOVE” and my biblical study on the eternal Son. For those of you that hold to Oneness theology, know that you are not alone and we stand united in being hated on account of His name. Amen. My spirit is grieved in contending with those of "hyper-Calvinism" and their “predestination of the elect” doctrine. The Nicaean Creed states of the Son, "And in one Lord Jesus Christ, the only-begotten Son of God, begotten of the Father before all worlds". Is this fourth-century AD traditional teaching something that can be proven by scripture?